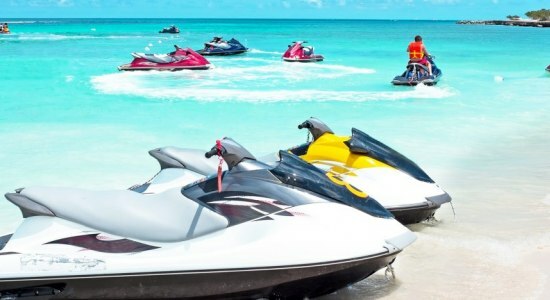 For most people water sports are commonly known to be fast-paced, high intensity experiences. While for most that might be perfect, you may be looking for an opportunity to relax, rather than a search adrenaline. If this is you, then the paddleboard is your best bet to enjoy your adventure across the ocean even moreso. Paddleboarding has been around for centuries, operating initially as a way for travellers and pioneers to venture across great lakes and rivers. Now it has become one of the most popular past times to enjoy a relaxing experience at sea. While most water sports will have you operating heavy equipment, the paddleboard has remained as simplistic in its design and operation since when it was first invented. All it requires of you is two feet, and a single oar to help you coast across the ocean. The paddleboard is the best way to get close to the beautiful marine life below you without ever having to actually get into the ocean. The lack of noise or size means that the marine life below goes completely unbothered by your presence. 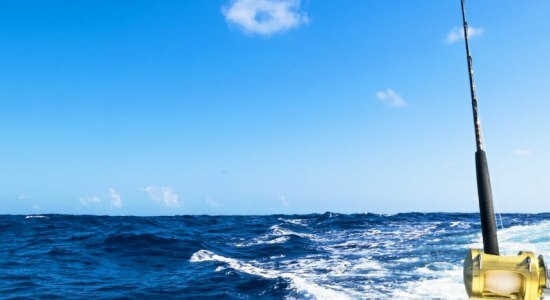 While you’re gliding across the sea you can simply look below to see anything from gorgeous coral, to tropical fish or even docile water mammals like manatees or dolphins. If you’re looking for an option that doesn’t require you to have prior experience, then the paddleboard is the perfect choice. The paddleboard has next to no learning curve and will have you picking up what to do in a matter of minutes. It’s a great option for families who are looking for the opportunity to do something that even your kids can do. Paddleboard’s are all made of the newest in water sport technology, meaning they’re all created with carbon fibre. Carbon fibre is significantly lighter than its prior design of wood which means a more agile and smoother ride. It’ll also have you carrying the paddle board to and from your yacht with ease, not having to strain yourself at all. Each board also comes with foam grip that has been crafted to perfectly sit atop the board. This grip gives you the freedom of security while you’re paddling and also gives the ultimate comfort below your feet to complete your experience. The versatility of the paddleboard will have you spending hours over the ocean as you enjoy one of the most relaxing experiences made available. Most uses of the paddleboard see people standing, while they have a complete 360 degree view of the ocean around them. However the boards with and length mean you have plenty of room to lie down and float by or sit and rest your legs as you enjoy yourself. The paddleboard may seem like a lesser option, but its versatility and lack of difficulty make it the perfect option for anyone pursuing a relaxing and enjoyable experience. 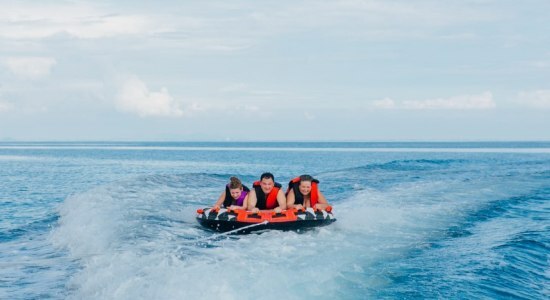 It’s perfect for beginners who are new to water sports as well as families who are looking to do something together. 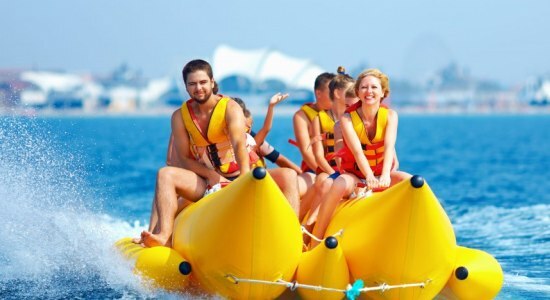 Sea Bobs have fast become the number one request on all yacht charters. 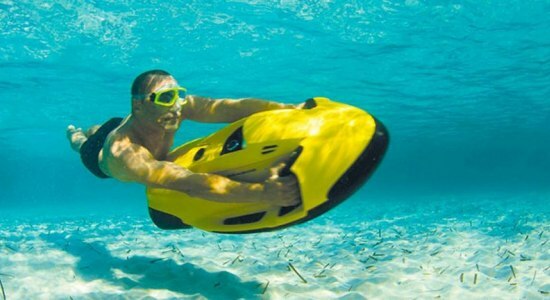 This latest water sports technology, available only with our Yacht rental bookings, allows you to speed along the surface or fully submerged with a diving mask to experience the ocean like never before.